MSQ performs over 40 educational concerts per season as well as a number of full string quartet recitals throughout the state of Mississippi. 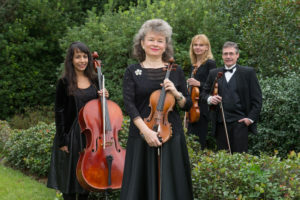 The ensemble is comprised of the principal players of the Mississippi Symphony Orchestra, Marta Szlubowska and Vincent Massimino, violins, Ausra Jasineviciute, viola and Veronica Parrales, cello. MSQ is one of the three symphony ensembles, which play a very important role in the education of our children in Mississippi. Its main mission is to introduce and educate the Mississippi youth about the string instruments of the orchestra, but more importantly to develop an appreciation, interest and passion for playing and listening to live music.